I'm doing well today. My work schedule was different today and will be again tomorrow. I'm fillng in for someone who is sick. I actually get more sleep time this way, which translates into less time to think about food. Still, I've come up with a long list of foods to eat over the next month. I'm not going to binge, I have way too much discpline for that. But I will be feasting on all sorts of things throughout March. Crepes anyone? I still feel fine. I'm not hungry, I just want to eat. I'm really cold all the time and I'm a little slow, physically. And probably mentally, now that I think about it. I'm functioning fine and have no reason to think I won't last until Saturday. Thursday is already on its way. It's down hill from there. I got called in to work early so I'm going to bed now. Good thing too. I'm hungry. I’m sleepy. Waking up is definitely harder when you know you’re not going to eat for the entire day. It was seriously the first thing I thought about when my alarm went off this morning. I’m not hungry but I am sluggish. And what about gum? I like to chew. It’s been a hobby of mine for about 25 years. I was chewing gum yesterday and Joel said it was cheating. I disagree. I’m not swallowing the gum. And I’m certainly not getting hundreds of calories from it. Either way, I’ve stopped chewing it. My jaw is starting to hurt. If we say I stopped eating at 12:00am on Monday, I am now 1 day, 13 hours into it. I feel okay. I’m not hungry and I want to brush my teeth. I feel like I’ve drank a lot of lemonade. It’s good, but sugary. I’m supposed to go to the dentist for a check up this afternoon. I’ll definitely have to brush. I'm hungry. But so far Lucy has not been able to convince me to get a burrito. I think the lack of food has heightened my sense of smell. Earlier today, people across from me were eating peanut butter cups. I swear I could smell them from four or five feet away. I also want pizza, popcorn, and of course burritos. But it's been a lot of hours already and as soon as I finish my mixture, I'm going to declare the day over. Now Lucy wants to watch 30 minute meals. I'm going to drink something. Do you see me? I'm in there. Actually so are Lucy, Jesse, & Joel. 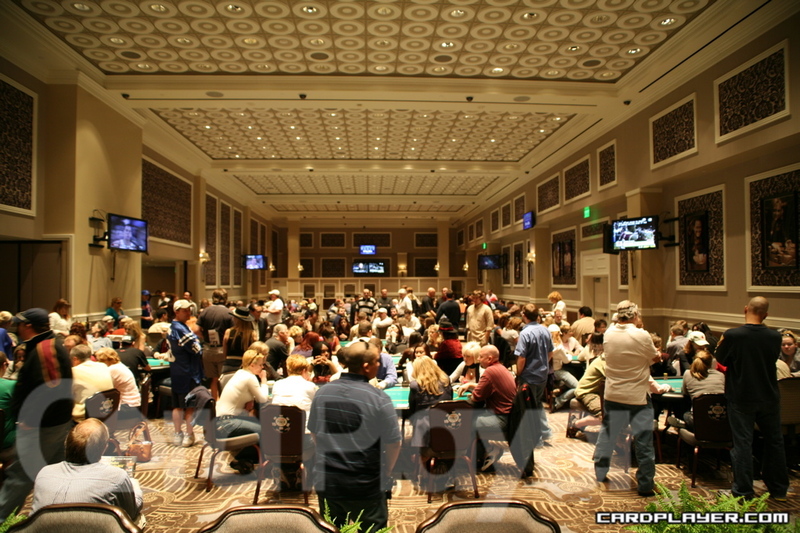 This is a picture from the aforementioned poker tournament at Caesars. This picture was posted on cardplayer.com. If you spot me, don't look too closely. That's my tournament stance. I don't want you to take too much note. So as I wrote, we did not win. I hardly played any hands. I was too afraid to gamble. It was just different for me knowing those chips were Jesse's as well. He won almost all of our money. By the time we got to what was our final table, we needed a lot more money than what we had. We finished about 24th or 25th out of 86 couples. I was pretty disappointed, because I know I should have done better. But we had fun. Lucy and I made some famous friends. One is the most televised poker dealer around. I heard that and I was skeptical. But as I'm watching NBC's Poker After Dark, there she is. I let her use my tide pen. She was very impressed that I had one. Our other famous friend was Allyn S. She's married to the guy who owns cardplayer. She was extremely nice. Lucy and I are going to start playing in the Lady's Night Tournaments at Caesars just so we can run into her again. Jesse thinks if I mention a few key facts, I could be employed in South America. and we are out. no money for any of us. sad faces. after danie's turn we still have 9575. jesse is at bat. jesse had a k against queens. he won. we more than doubled up. there are still a lot of people here. lucy had a k and she lost to queens. the next hand was up to joel. he also had a k. he lost to kings. jesse and danie have 4750. joel and lucy have 5575. the blinds are about to go to 100 and 200 dollars. first place is 6100.
we are still in it. nine people have busted out. lucy and i are chatting with mrs cardplayer. so far lucy is up. danie is down. jesse and joel are at the tables. jesse is across from the owner of cardplayer magazine. We have our seat. Joel & Lucy are at table 48, seat 7. Jesse and Danie are at table 49, seat 4. Test 1 2. We are about to leave for the tournament. Lucy and I made a delicious breakfast and now we are full and ready to win. In observation of Valentine's Day 2007, Jesse and I are playing in a couple's poker tournament. Believe me, I'm swooning on the inside. The tournament is February 11th at Caesars Palace. I've never even heard of a couple's tournament. Lucy and Joel are also playing. And before you ask, I don't think Jesse and I are acknowledging Valentine's Day this year. I know he hates it and I'm okay without a display. I'm just glad to not argue about it, as we have in years past. I'm going to try and send updates from the tournament to my blog from my cell phone. I'll have plenty of time to write, since we switch every 20 minutes. The updates were Jesse's idea, even though he didn't entertain the idea of sending them to his own blog. Maybe he's forgotten he has one? I'm kind of nervous. Even though Jesse and I both usually do well in tournaments, we play very differently. I'm not one to rely on others. I have trust issues. But during the tournament, his actions will affect my chips and mine will affect his. It's just a little added pressure. Caesars is also starting Ladies Tournaments on Tuesdays. They fit perfectly into my schedule so maybe I'll play in those every once in a while. Let's just see how tomorrow goes. I like to talk. And lately I’ve been thinking about writing more. I just wish I could write as fast as I talk. I’d probably have to use two hands to get even close. I’ve always been a proponent of talking. I also think learning other languages gives you a whole bunch of new people you can befriend. Or in the case of the following, knowing more than one language can get you home 25 years faster.